Astrophotography is tough to master; it takes a lot of specialized equipment, careful post-processing, and a nocturnal lifestyle. 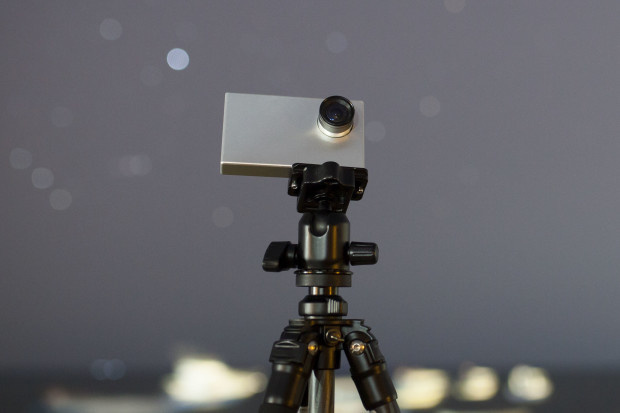 Tiny1 aims to alleviate at least some of those issues (you'll still have to stay up late) and make astrophotography accessible for anyone interested in the genre. If you're truly serious about astrophotography, at the very least, you'll need to pick up a decent equatorial mount and invest in learning some highly specialized techniques and software. The Tiny1 represents an interesting middle ground between a normal camera and a full astrophotography setup in that it's specially built for the genre and also takes a lot of the extra steps out of the equation. 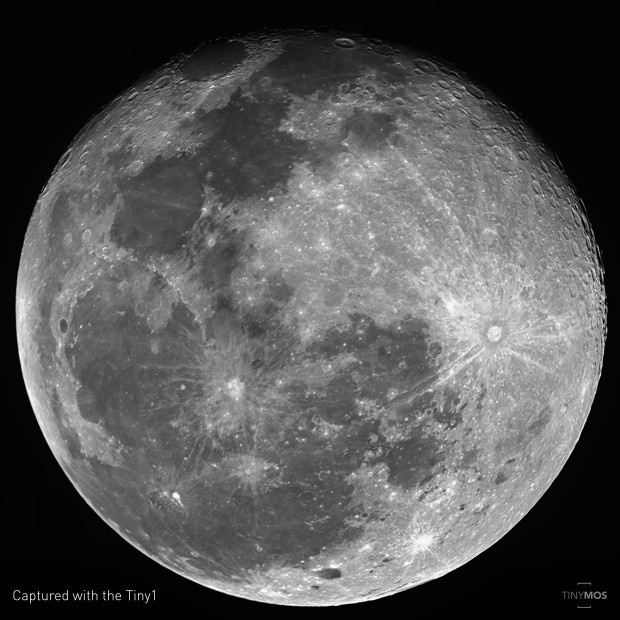 The Tiny1 features a 4-megapixel sensor with a 7x crop factor and comes with a 4mm (28mm equivalent) f/1.2 lens, though it uses the standard CS mount and can be adapted to almost any telescope or camera lens. The sensor is backside-illuminated and features 65% quantum efficiency and a switchable IR filter. Images can be shot in raw or JPEG at 2688x1520 resolution at 60 or 15 FPS (or single shots), and video can be shot at full resolution at 60 or 30 FPS or up to 180 FPS in 720p. The camera also features built-in noise reduction. The camera features USB 2.0, Wi-Fi B/G/N/AC, and Bluetooth 4.1, as well as a MicroSD slot with up to 256 GB capacity. The display is a 4.3-inch IPS touchscreen, which takes advantage of augmented reality star maps, making it easy to find the features one wants to shoot. 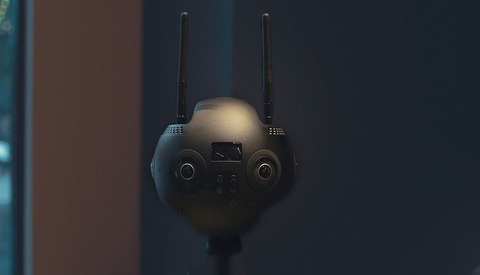 There's also a standard 3.5 mm audio in/out port, three-axis gyroscope, compass, and GPS. Inside, there's a Qualcomm Snapdragon Quad Core 1.8GHz processor augmented by 4 GB of RAM, all powered by a 1,700 mAh battery that charges via USB. Altogether, it looks like a very interesting option for anyone interested in trying their hand at astrophotography. Interested in picking up your own copy? Check out their IndieGoGo campaign. I'm definitely intrigued by this product. An astrophotographer gave a presentation to the local camera club and he said there are three levels of involvement and expenses: low, moderate, and high. I was inspired and used the gear I had, Canon A-1, FD 28mm f2.8, and film. The presenter has $20,000+ in astronomy and photography gear, plus a roof roll off observatory. I can't afford two expensive hobbies, photography (buying digital in 2013) and astronomy. This looks like a fantastic product. I think would prefer investing in a tracker for my existing gear. For $300 you do quite a bit with any camera gear you may have. I agree. 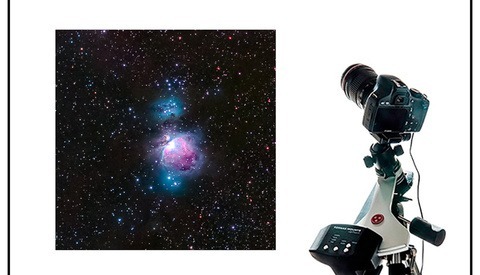 While I am glad these products appear on the market and help beginners pursue their dream of astro imaging, there isn't much your existing gear cannot do on its own. Let alone if you incorporate a tracker. 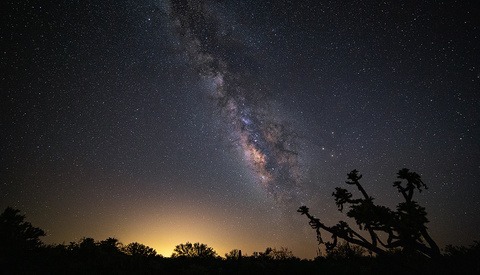 Don't get me wrong, the more imagery of the night sky there is, the more awareness in people will arise that darkness is an important natural resource for man, other animals and plants alike. But I do find the quality of the presented images rather lackluster, while the promotional video has a high production value.